The Long Walk, a time-based, ”open-source”, and socially engaged art event, That grew out of a collaboration with Stokely Towles as part of 4Culture’s Trail Project. 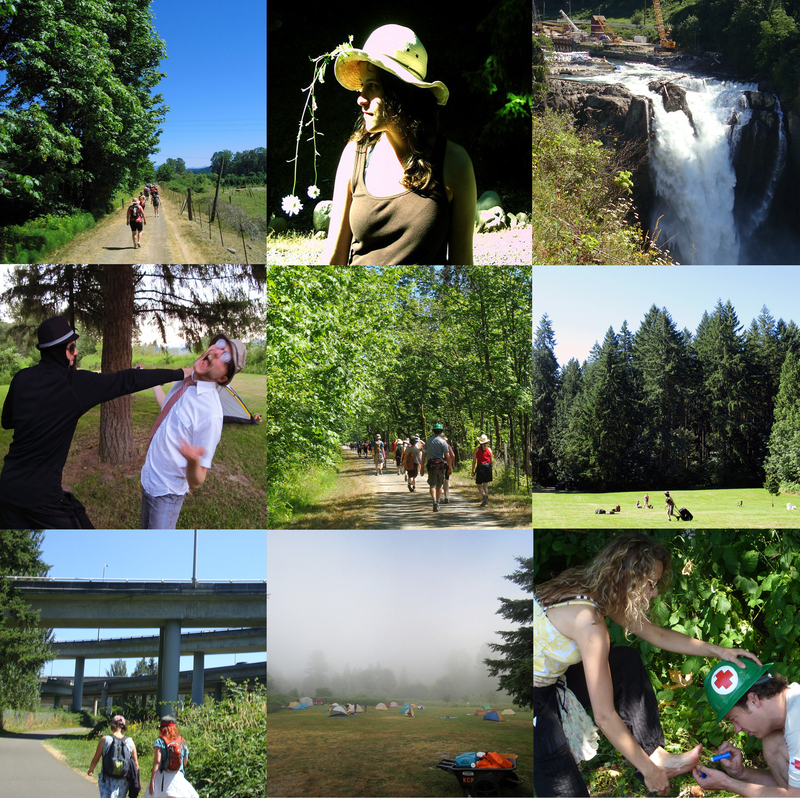 She and a group of fifty trail trampers will walk more than 45 miles along the King County Regional Trails System (RTS) in Western Washington over the course of four days – July 28th through 31st – from Puget Sound to Snoqualmie Falls. Along the route, participants will experience a shift in their sense of time, a new understanding of the local geography, and the creation of an interstitial culture.